This is the ultimate Constellation resource and I have learnt a hell of a lot here over the years. All of which I have used on numerous occasions to help me make the right decisions both quickly and at the right time whilst hunting Connies. I frequently return to re-read your old posts and interesting factoids! Keep up the fantastic work, which is very much appreciated. Desmond, thank-you for this astounding site. I don't have a Constellation (yet), but this website has meant that I'll be armed with the correct knowledge when the time comes. 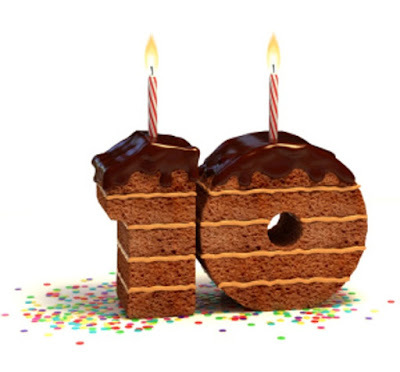 Congrats on ten years! Thanks for your post, much appreciated. When you get around to searching for an acquisition let me know and I'll assess it for you. Thank you for your many and varied posts on the forums. I have enjoyed them over the years. For some reason it listed me as "Unknown" which i guess is not a bad thing. I probably forgot to choose name/URL. Would not be the first time. We are moving to Milwaukee in December and I've been in Milwaukee these last 2 weeks buying a house. If you ever get to the midwest, you have a place to stay. LOL You're far from unknown Pat! Here's hoping the house hunting has resulted in a home you'll enjoy living in. Good luck on the big move. I can hardly believe that it's been 10 years since you started this blog. You have been so valuable and generous to the watch forums and also to myself personally. You have passed on so much knowledge, a large part of my collection is thanks to you. I hope to see more of you on the forums and of course on your blog. And thank you for your contributions to the "knowledge", and on more than one occasion to the content of my essays! I still enjoy the forums, and I tend to stand back and let others contribute. There are so many people who are Connie 'literate' now compared with ten years ago. The seller informs me: "I can't speak for the watches early history, but I can tell you that when I serviced it in 2015 we replaced the crown, crystal, complete hand set, and the sweep second pinion. It also had two new case clamps and case screws. All parts where new original parts from Omega. As I said in the listing, I believe the dial is also a high quality restoration." The watch in question has a refinished dial, done to quite a reasonable standard. Movement is very clean and the case quite sharp. The question is, do you want a refinished dial, or do you want a watch that is original? This watch looks nice, however to a collector the refinished dial would not be appealing, so it depends on your personal preferences. The crown on the watch is also not the original smaller crown that fits in snugly to the bezel. These crowns are no longer manufactured, which is why we see the replacement crown fitted. Again, the question of full originality is raised. Thank you so much for your fast reply. I'm a little in doubt and it Leaves me with a lot of questions. I find the full originality appealing, which would lead me to another watch. But wouldn't that mean a Price in another Ball park? If I accept The refinished dial, what do you Think of The Price? After all what does refinished mean in technical terms - did The repair put new paint/stuff on The dial or did he just remove dirt and dust? Sorry for all my ignorance and questions. Refinished means that the dial was removed from the watch, cleaned of all paint down to the metal, markers removed and repainted, followed by application of dyes to reproduce the letter on the dial. Usually the metal applied markers are glued back, as opposed to the originals being rivetted. So, in a way, you get a 'reproduction' of the dial. For the price being asked (750 pounds) I would expect that you would be able to see an original dialled version. So I think the price is somewhat high for a redial. For around 1200 - 1400 USD (havent put pounds as the currency is fluctuating a lot) you could obtain a pretty good example of the 168.004 with pie pan. This would mean trawling ebay and assessing each watch as it comes up and then making a decision. I have you to thank for my 4 Constellations. You're an inspiration and this site is quite a legacy to the many hours you've spent curating it. Thank you! Happy that the content on this site has provided some guidance. Thank you Desmond for being a great source of wisdom and a generous advisor to us all the Omega illiterates. We can now pretend to be expert collectors because of you...only pretend. Many thanks again. Congrats Desmond abd keep up the excellent work - your blog is one of my favorite web resources. If I could only write like you! I see the word "generous" in the comments more than once, and at the risk of being tedious, I'll repeat it. About 3 years ago you gave generously of your time and advice to a new collector looking to buy his first Omega. I've learned a lot since then: firstly Patience; secondly that there is always a lot more to learn. Anyway congrats on 10 years and very many thanks to a "diamond geezer", as we say in the UK! Thanks for your post and your good wishes. Hello Desmond. I also just wanted to thank you for all your time - both writing this blog and for your many personal emails to me, helping me in the process of an online purchase. I think you first helped me in 2008 or 09 when I was still in Business School. Every new purchase happened only after several mails between you and me and all your time and help was unique and priceless. Over the years I've had about 30-35 Connies at one point. For years, I just collected all I could find, with only one mantra: It has to be all 100% original. Today, I'm down to around 10 good pieces and focus on the more rare which include Jumbos, the last Japanese pie pan, black dial/rose gold case with b&p, steel pie pans because of the sublime elegance and so on. In all honesty, I wouldn't have half the knowledge I have today without your blog and many elaborate emails. We moved recently, and in a box I found a huge stack of papers. It was every single post on your blog, I had printed and turned into a book. Oh yes, your posts have been read carefully and often several times over the years. :-) Thank you for all your time, Thomas - Copenhagen. I remember our conversations very well. Great to see that you gained so much sophistication in collecting. I think your focus is right on the money! The other thing that is very gratifying is that the blog posts have helped spawn not only interest in collecting Omegas but also a much broader expertise in the collecting community, so that now we have a ew generation of Connie and Omega experts to hand the knowledge down. 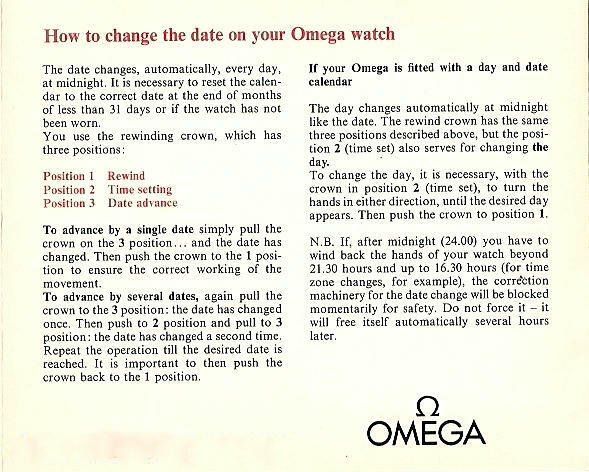 Best Omega Constellation info worldwide, keep up with the good work. Thanks for sharing with us all this knowledge. Huge congratulations Desmond on 10 fantastic years. I started following your blog when I had one Connie and the knowledge I gained, has allowed me to add four more and avoid a recased or fake 168.005. I have also been able to meet a fellow Toronto enthusiast after reading the story of his restoration of his father's Constellation. Hi Mark, yes I remember Ari's project and your link-up. Glad the blog has served you in your collecting endeavours.